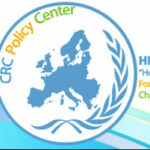 Andreas Mazeris works as a Case Officer at the "Hope For Children" CRC Policy Center, Humanitarian Division providing support to unaccompanied minors in the shelter of the organization. He obtained a BA in Political Science and History from the Panteion University of Political and Social Sciences in Athens and a Law Degree from Sussex University in UK .He also received a Master’s degree in Human Rights, Globalization and Justice from Keele University in the UK. 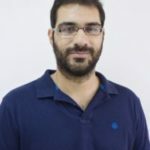 His thesis was whether the legislation of the Republic of Cyprus concerning asylum seekers and refugees was compatible with European and international law. He completed the legal practice of the law office of ROC and passed the examinations of the Cyprus Bar Association.